Over the weekend, members of the Vietnamese government issued a statement about the recent Catholic protests in the capital city of Hanoi. In a response dated January 28, Archbishop Joseph Ngô of Hanoi disproved every accusation leveled against his flock by the government. The statement comes after the city's governing body issued an order on January 26 giving the protestors until 5 p.m. Sunday to leave the premises and to remove statues of the Virgin Mary and the cross that they had erected on Friday, but none of the instructions were followed. Instead, 3,000 Catholics showed up to sing, pray and demand the return of the Church’s property. “We are not afraid of death”, said Huong Nguyen, 34, one among hundreds who stayed all night to protect the statues and cross that Catholics have placed in front of the former Vatican embassy. The statement, signed by Fr. John Lê Trọng Cung, chancellor of the archdiocese, also challenges attacks by the state controlled media. The media claim that Hanoi Catholics have destroyed state-owned properties, occupied state-owned land, gathered and held prayer services illegally in public areas, attacked and insulted officials, disturbed public order, illegally erected a cross in the garden of the former Vatican embassy, and spread distortions about the government on Internet. 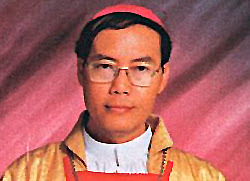 Archbishop Joseph Ngô responded to these accusations by insisting that, “The government does not have any evidence that the Church in Vietnam did donate it, nor a decree saying that it was confiscated. 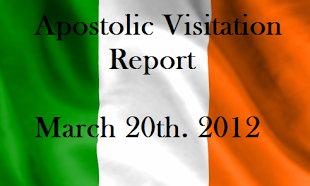 Hence, it is still a property of the archdiocese”. The prelate also argued that worship on the site, which is owned by the Church, is a right “protected by laws”. Therefore, it cannot be interpreted as “gathering and praying illegally in public areas”. Also, “the cross and statues of the Virgin Mary were there originally. The faithful just moved them back to where they were”. The allegations of distortions being spread about the government on Internet, cannot be pinned on the archbishopric or the Church, but are the responsibility of those who posted them, said Archbishop Ngô. Nevertheless, "most of them are accurate and it is the right of citizens protected by the Constitution” to post their comments, he continued. The archbishop of Hanoi closed his statement by calling on the New Hanoi and Capital Security newspapers to “investigate thoroughly following legal procedures” attacks on the Church by their reporters and publicly reply to Hanoi Catholics.